Phrased & Confused – Which comes first? The music or the words? Phrased & Confused takes words and music – poets and musicians – and mixes them up to create gorgeous lyrical feasts for music lovers and secret wordsmiths alike. 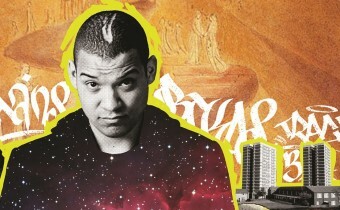 Since 2004 – back when spoken word was a rarely spoken on the music circuit – we’ve been exploring our hunch that music fans can be encouraged to attend more live literature events, under the banner Phrased & Confused. With 3 successful national tours, one off events and a regular presence on the music festival circuit under our belts, we’ve learned a lot along the way about what happens when you put music and words together, who comes and why, and about how music promoters are interested in getting more involved in live literature. In addition to producing live events, we also have an artist commissioning programme, run professional development projects and spend a lot of time finding out as much as we can about our audiences; all part of our mission to think, do, learn and share. 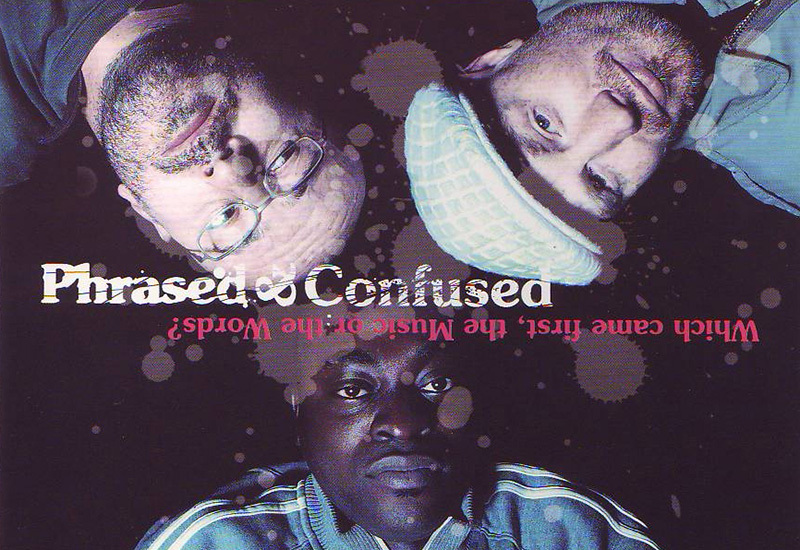 Phrased & Confused first went out on tour in 2004 with novelist Patrick Neate, DJ Charlie Dark and musician Earl Zinger. In 2006 we were on the road again, taking two of the UK’s most talked about new singer-songwriters – Emma Pollock and Chris T-T – with us, alongside poet Brendan Cleary. 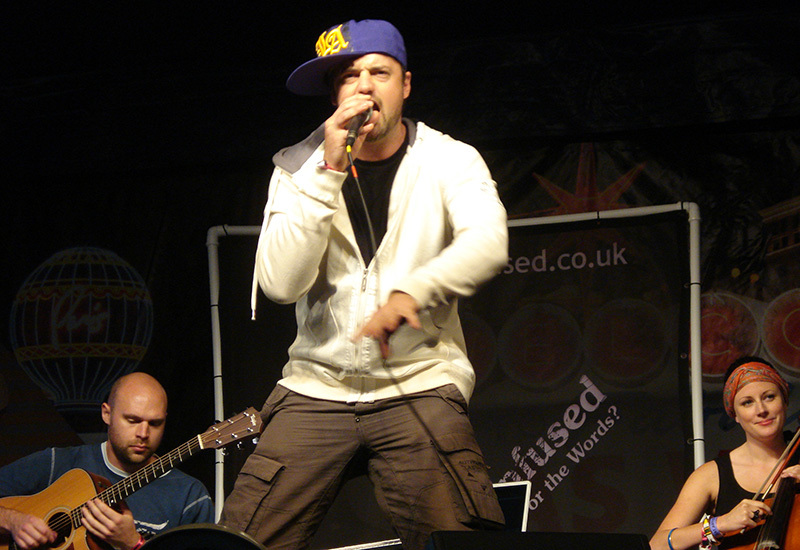 In 2008, we turned our attention to festivals, programming a stage at Leicester’s Summer Sundae Weekender, commissioning four new works (from Jean Binta Breeze, Andy Craven-Griffiths, Aoife Mannix & Janie Armour and Dead Poets), showcasing talent including Excentral Tempest (the now much lauded Kate Tempest!) and Laura Dockrill aka Dockers MC, and debuting word games like Poetry Bingo and Fridge Poetry. 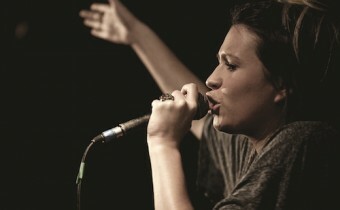 It was a real hit, so we returned in 2009, with 4 new commissioned artists – Kate Tempest’s Sound of Rum, Hannah Silva and Alexis Kirke. 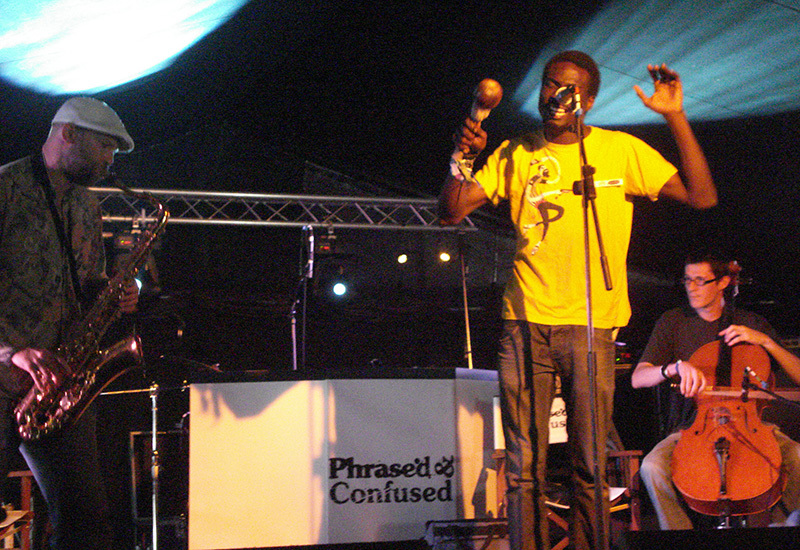 The Pencil String Horn Project and Sifundo and Jamal Msebele – a host of other artists like Beth Jeans Houghton, Woodpigeon, Skint & Demoralised and Jeremy Warmsley. That year, the Phrased & Confused tour bus got another outing too, pitching together folk collective Woodpigeon, wordsmith Murray Lachlan Young and two commissioned acts: Aoife Mannix and Janie Armour, and Dead Poets. Fast forward two years, and we were ready with four new protest-themed commissions, from Laura Dockrill, Shane Solanki, Yusra Warsama and Ben Mellor. 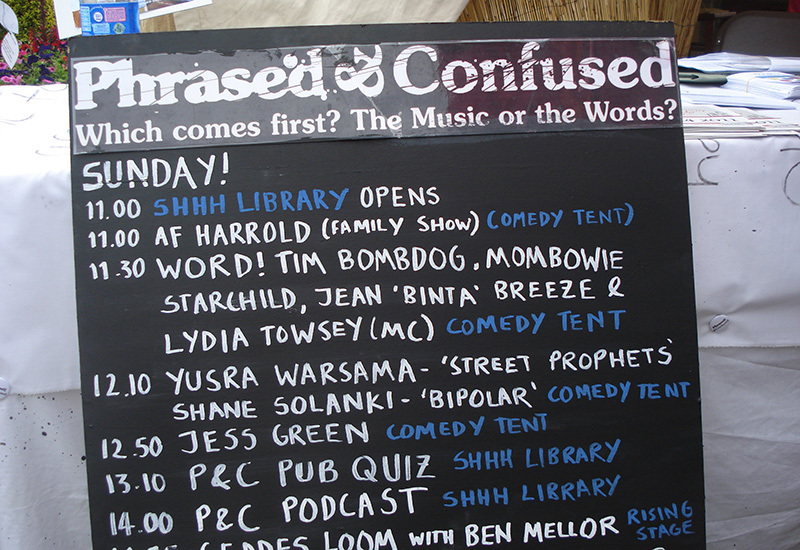 We also pitched our tents at Summer Sundae again, programming a heady concoction of new commissions, word and music-fuelled performance and word games. And not content with one festival, our Phrased & Commissioned artists also took up residence at the Interrogate! Festival we produced for Dartington. And in 2012, we were back at Interrogate!, with three new happiness-themed commissions, this time from Emma Bennett, Julian Fox and Jason Singh. Autumn 2015 sees Phrased & Confused start a new partnership with Unity Theatre in Liverpool, where we’ll be promoting three gigs, by Jess Green, Hannah Silva and Testament, ahead of a new programme of work for 2016. Watch this space! As well as doing events, since 2006, we’ve also run development projects, including a commissioning scheme that helps artists to create new work, and a training programme that helps emerging promoters to develop their business-related skills. It’s work that we really believe in, not only because of its value to those we support and the impact it has on the wider scene, but also because it enables us to share what we’ve learnt and – selfishly – it helps us to get better at what we do too! We’ve been commissioning artists since 2008, and in that time have supported more than 20 artists and musicians to develop their stagecraft, performance and presentation. The programme includes mentoring with Perrier Award-winning Stuart Silver and peer sharing days, with artists typically working with us over a 3-4 month period to develop their new work. We had some time out to re-think what we do with Phrased & Confused but we’re excited to say we’re back this Autumn with three Phrased & Confused gigs at Unity Theatre, Liverpool. You can find out lots, lots more about Phrased & Confused on its very own website.